On Thursday December 3rd, U.S. Attorney General Loretta Lynch, the Chief Law Enforcement officer in America, stood on a jihadi platform (Muslim Advocates) in Virginia and announced she stands with jihadis against speech which offends Islam. She also affirmed her Civil Rights office will investigate the arrest of Ahmed Mohamed in Irving, Texas. See UTT video summary HERE. This entire action needs to be understood from the perspective of the enemy’s Information Operations which jihadis say is the primary focus of all of their actions. In 2005, the current leader of Al Qaeda Ayman al Zawahiri said, “I say to you: that we are in a battle, and that more than half of this battle is taking place in the battlefield of the media.” If we look at how Hamas makes propaganda and media operations the center of all they do, it will begin to reveal the purpose behind many of their domestic actions here. In their jihadi operations in the U.S., the Muslim Brotherhood/Hamas gets American leaders to do their bidding for them in keeping with their strategic plan to wage “Civilization Jihad” by OUR hands. The events surrounding Attorney General Lynch’s actions are in line with this strategy. First, the Attorney General of the United States agreed to attend a dinner hosted by the group Muslim Advocates who are directly aligned with the U.S. Muslim Brotherhood – specifically the Islamic Society of North America (ISNA), the Muslim Public Affairs Council (MPAC), and Hamas (dba the Council on American Islamic Relations or CAIR). She is providing overt approval of this jihadi group in her official capacity. For this alone she can be removed from her position as AG. IRVING, TEXAS: Ahmed Mohamed, a 14 year old Muslim, was arrested by Irving (TX) Police after he was belligerent and evasive in answering questions by police who were called to his school by concerned school officials because of a device he brought in to class Mohamed claimed was a homemade clock. As UTT has reported, this entire event was an information operation led by Hamas (dba CAIR). 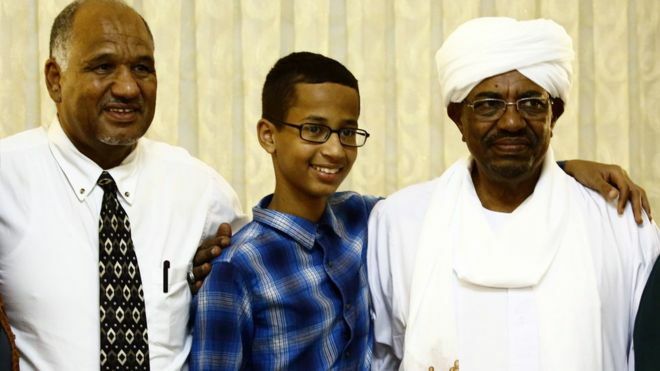 The meeting with Ahmed Mohamed and his father with war criminal Omar al Bashir in Sudan should be the clue that something is amiss with this “innocent inventor” of clocks. 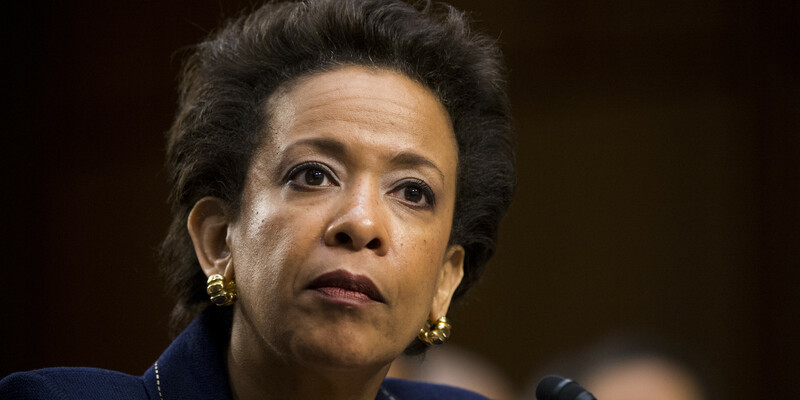 DOJ will Enforce Islamic Law of Slander: Attorney General Lynch stated at Thursday night’s dinner, “Know, please know, that the Department of Justice and this Attorney General will be your partner in that effort.” She was referring to silencing criticism of Islam. By speaking this at a jihadi function, the AG has sided with America’s enemies to silence legitimate security concerns Americans have about Islamic organizations here in the U.S., including Muslim Advocates. For Americans, the results of this policy and attitude by the federal government are dangerous and violate the law. Police who do their duties will be investigated by DoJ when the perpetrators are Muslims, especially when they are part of a terrorist operation run by groups like Hamas (dba CAIR). When Americans call police or report suspicious behavior, they will be aggressively pursued by the federal government. If you want to know why military officers never reported the behavior of Major Nidal Malik Hassan (Ft Hood Jihadi), why FBI agents remove their shoes before affecting arrests of Muslims in Mosques, and why neighbors of Syed Farook (San Bernadino Jihadi) never called police – this is why. It appears as if the federal government wants a direct confrontation with itself and American citizens who clearly see that they (federal government) are aiding and abetting our enemies in violation of federal law and their Oaths of Office. I will turn 71 this January first and never thought that I would see the day when I would live in fear of my own government in America. These are truly challenging times. Thank you for all that you do to inform and keep up your good work. We are told by authorities after the horrific events in San Bernardino this past week that “if you see something, say something.” Apparently that did not apply to the concerned school authorities in Irving, Texas when Ahmed Mohamed brought the “clock” to school. The authorities were concerned and said so. It was apparently a setup and our national leadership gave Ahmed everything he wanted. Now he is leaving the country to live in a Middle Eastern nation. No surprises there. She is actually SIDING WITH ISLAM’s BLASPHEMY LAWS against US! Good grief! We have seen the enemy and it is…… envelope please…..
OPINION – The contextually disingenuous term, “edges towards violence”, is a diabolical precursor which per se “edges towards” planned imposition by said treasonous Progressive/Islamist of martial law in the U.S., i.e. nefariously contrived to garner popular support should a 1776 brand of violence eventually ensue consequent of patriotic resistance to unspeakable tyranny and intentional exposure to the burgeoning possibilities both of violent and pathological death. I have completely lost faith in out government to protect us. **With the exception of a few good men like Ted Cruz and Tom Cotton. I believe that most of the politicians on either side have sold us out. I have been studying The Revelation and end time prophecies for over ten years and now I can see why the United States is not represented as a nation and will not be in the picture in the near future. Most Americans have NO CLUE what is really going on behind the scenes. Patriotic Americans will eventually be rounded up and taken out if the powers that be have their way.. Thanks for your site. it opened my eyes even further. However with all the Obamination’s minions like Loretta Lynch etc in place in all key areas of the government (and the media) I fear the only way to really affect a change will be civil war. I fear the United States has already begun its downfall. There are just too many things to overcome and too short a time to do it. We must do the best we can and leave the rest in God’s hands. You’re the one with the brains here. I’m waincthg for your posts.